The Hickeys story starts in the 1940’s in North Earl Street when Hickey’s, a general merchants store, was obtained by Edmund Donnelly. Recognising a gap in the market Edmund developed the business into a fabric and haberdashery store, specialising in fabrics from all over the world. His son Eamon Donnelly expanded the business by opening more stores throughout the country introducing home textiles. 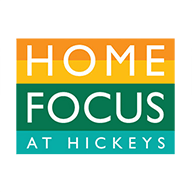 The launch of Home Focus at Hickeys stores in retail parks in the late 90’s allowed them to further expand their home textile offering. Today, Hickeys remains a family owned Irish business, now managed by Ian Donnelly, Edmund’s grandson. Hickeys are proud of their strong traditions in fabric. Their philosophy of ‘affordable quality’, along with their knowledge and experienced staff has seen them grow into Ireland’s premier retailer of fabrics and home textiles.